Tell us about your dream Montenegro vacation. We will match you with up to 2-3 top Montenegro travel agents who meet your requirements. Make a booking of your Montenegro tour package when you are convinced. The bustling beauty of the country is seamlessly placed among the majestic mountains, breathtaking beaches, and of course, the warm-hearted and friendly locals. After the split of the Roman Empire 1600 years ago, Montenegro has sat on the borderline between east and west. The richness and diversity of its cultural history can be spotted in the pattern of floors of Roman villas, flamboyantly painted Orthodox monasteries, ornate Catholic churches, elegant minarets of mosques, and the sturdy fortresses built by the numerous powers that have fought over these lands. Then there's the legacy of 50 years as a non-aligned communist state, independent of both the Eastern Bloc and the West. For those with even a passing interest in European history, it's a fascinating place. Montenegro holidays Tours: Fall in Love with This Small Piece of Beauty! Planning a trip to Montenegro? This 4-Days Itinerary will Help! 3 Days Montenegro Trip - What are the Best things to See? Montenegro is a tiny country where magic and mystery accompanies you at every turn. Wild mountains are backdrops of the balmy Mediterranean coastline, with a domineering sense that nature continues to rule. History bursts from the land, and medieval Kotor, the most recognized stop in a country that has always straddled east and west. The locals are friendly, the adventure is intoxicating, and the culture is quick to win over hearts. Idyllic old towns are a good place to start learning about the country. Catholic spires juxtapose with mosque minarets, medieval walls encase cobbled lanes, and monasteries meet with Roman villas. Montenegro straddled the east and west when the Roman Empire was split between Rome and Constantinople (now Istanbul) 1,600 years ago. While Montenegro has only been independent since 2006, before the wars and takeovers, the state was initially founded in the 15th century. Ottoman remains are scattered around, and there are stories left behind from the Venetian Republic and Habsburg rule. It is not a history that is easy to follow, but it is certainly easy on the eye. Picturesque towns line the water, Mediterranean in design, yet Montenegrin in style. Kotor is one of Europe’s finest historical cities, where your footsteps echo across cobble lanes, and fortress walls are bathed in the salty scent of the sea. Obscure mountain villages resemble postcards that nobody has ever seen, and the remains of distant empires await in an evocative state of ruin. Montenegro may be beautiful, but it shies away from pomp and razzmatazz. Even in the heart of Kotor, you are more likely to be accosted by a grinning local seeking conversation than a tout selling museum tickets. 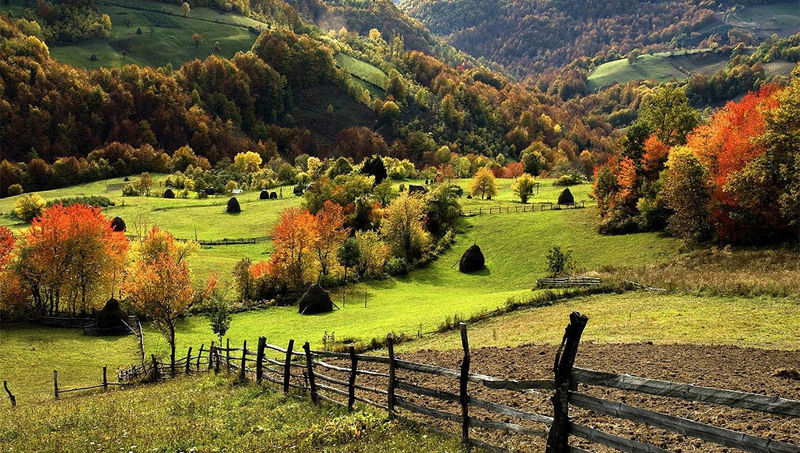 In its heart, Montenegro is a rural country. Glorious landscapes set the scene for every vacation here. The Dinaric Alps are a destination for both winter skiing and summer hiking. Lakes and forested slopes are found in the heart of the country, along with the capital city, Podgorica, and the town that once bordered the Ottoman Empire, Cetinje. Down on the coast, you find bustling resorts and quiet stretches of sand, with the water snaking inland to the World Heritage Sites, Perast, and Kotor. All these charms mean Montenegro has evolved quickly into a tourist destination. It may be small and unknown on the world scale, but it is up there as a premier stop for those interested in the Balkans. Despite this, there is no feeling that tourism has taken over, even in small historic towns. The Montenegrins provide wonderful travel memories as they proudly show off their newly independent land. They are riding a euphoric wave, and every visitor is something to cherish. Particularly given the over-tourism recently seen in some famous European destinations, Montenegro shows that locals and visitors can come together harmoniously. Piva Canyon in Durmitor, Montenegro. Piva Canyon in Durmitor, Montenegro. For off the beaten track adventure nowhere else in Europe can rival, visit Durmitor National Park. Winter means skiing, an adventurous brand that encourages going off-piste and carving through new snow. In the summer, you can walk between the mountain eyes, a series of 18 glacial lakes connected by trails that offer views all the way down to the coast. Perhaps the ultimate outdoor adventure is the Peaks of the Balkans hiking trail, a 130-mile trail through isolated villages connecting Montenegro, Albania, and Kosovo. Kotor and Perast only tell one side of the Montenegrin story. Monasteries and shrines are scattered through the mountain landscape, rekindling tales of the country’s proud early history. Perched 900 meters above a vertical cliff, the rock-cut Ostrog Monastery shimmers white from a distance and commands astonishing views over the countryside. Peter II’s mausoleum marks an exceptional lookout point in Mt. Lovcen National Park while local guides can connect you with storytellers in small villages across the country. Montenegro comes alive during the summer months. 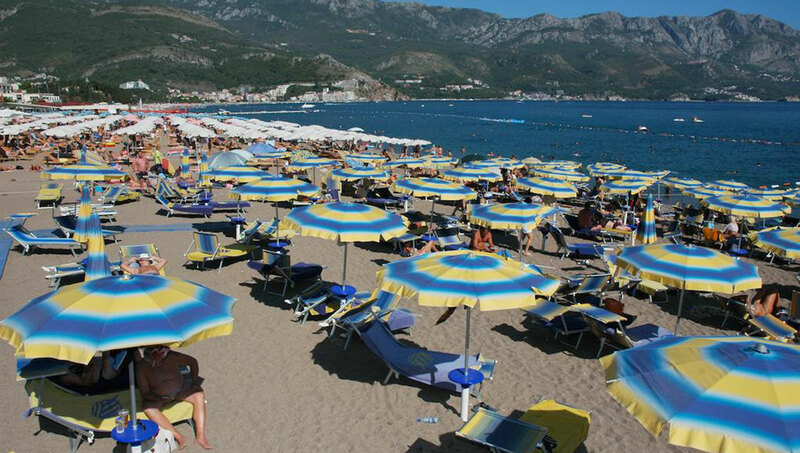 The beaches frolic beneath the sun, especially in and around the resort town of Budva. Clear warm weather and elongated days make the mountains a beautiful place to be. The evenings are warm in Kotor, alluding to old-world times when cafe terraces stayed open until the church bells rung midnight. Montenegro feels eastern and exotic in the summer, and this is the premium time to visit. While July and August are favorite times along the coast, particularly with visitors from other Balkan states, you can have great weather with fewer tourists in May, June, and September. Even as early as March and towards late October the climate is benign along the coast, although spring and fall do see widespread rainfall at higher altitudes. Not many people visit during winter, even if you can go skiing and dip your toes in the Mediterranean on the same day. It is not necessarily a bad time to come, but there is so much more you can do on a summer day. The Montenegrins are famously social people, and they gave tourism the boost it needed when the country found independence. At a time before Airbnb, the locals opened their doors to tourists by renting out spare bedrooms. Hosts and guests would break the ice over a healthy slug of homemade schnapps and meals would often be shared in the evening. This local and incredibly welcoming form of accommodation has laid a platform for small-scale boutique hotels and guesthouses. By combining the charm of the home-stay experience with something a little more upmarket and luxurious, Montenegro has forged a distinctive style of accommodation that’s as unique as the country it graces. Most places you stay are delectably old-world, something that reflects the country’s general atmosphere. Sveti Stefan, a medieval town turned boutique resort on the Adriatic, is the most famous and exclusive hangout. From above it appears like a miniature version of Croatia’s very renowned Dubrovnik. When you go inside the cobbled and lantern-lit streets are exclusive to guests, giving Sveti Stefan the sort of atmosphere that attracts various international luminaries – Serbian tennis player, and former world number one Novak Djokovic was married here. Along the coast, you can find something with an element of decadence to complement the homely feel that Montenegro is known. Villas and converted farmhouses make the excellent exclusive-use accommodation, especially for families. Some visitors also travel the coast by yacht and sleep on board, as part of a longer Adriatic Sea cruise. Do not except vast levels of accommodation choice as luxury tourism remains in its infancy. Nor will you find many international brands; Podgorica is not a well-known capital, and even the business hotels have a low-key style. Like Montenegro itself, the accommodation is more about charm than over-the-top impressions. Montenegro is firmly on the path towards ascension into the European Union and has already adopted EU measures on visa-free travel. All European, U.S. and Canadian nationals can visit without any pre-arranged visa. Holders of a Schengen visa or anyone with permission to stay in the United States can also travel for 30 days without a visa. Getting In Getting to Montenegro is not straightforward. Podgorica International Airport is small, and although its flight network is growing, you may have more choices when flying to Dubrovnik, Croatia, then traveling the 40 miles over the border. A new airport has opened in the Bay of Kotor town of Tivat, mostly for European charter flights; however, this is changing as budget airlines have begun using the runway. Traveling overland is more straightforward, and Montenegro is ideally situated on a dreamy route through the Balkans. 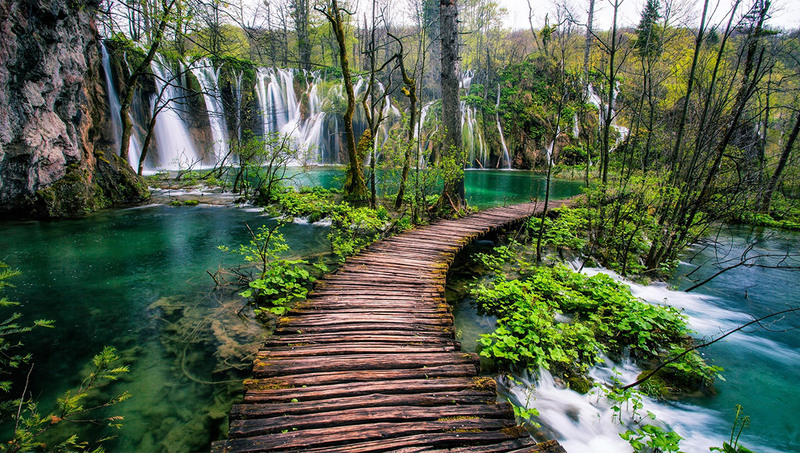 Stick on the coast for a few days as you connect Croatia with Albania. Another route is through the mountains of Albania or Serbia before dropping onto the Adriatic and the Bay of Kotor. While it is not as famous as its neighbors, it is hard to imagine anyone missing Montenegro off a multi-country Balkan itinerary. There are not many warnings required for a visit to Montenegro. Crime is low although there can be some petty crime along the coast during summer, particularly around the bar streets of Budva. It is incredibly rare to encounter problems in rural areas. Medical facilities are of a passable standard, but you should note that there are not many hospitals and clinics in a country with a population of just over 600,000. Always visit a hospital or clinic with your guide or a Montenegrin speaker as English is not widely spoken. Montenegrins are famously friendly, and one of the highlights of traveling here. Forget pestering touts and over-the-top boat tour salespeople, Montenegro is a place where strangers simply want to have a conversation. Warm-hearted and welcoming, the locals may even give you one of their customary bear hugs after a shot too many of rakija. These are people that will welcome you into their homes and go out of their way to provide a memorable experience. Proud of their newly independent country and eager to share their story, the people make a welcoming change from the experience in some of Europe’s over-touristic destinations. As a mix of Orthodox Christians and Sunni Muslims, you might expect Montenegro to be conservative. This is far from true. The people like a drink, however, being visibly drunk on the streets is frowned upon. Swaying on the walk back to a hotel is likely to attract attention. Not swaying when walking is easier said than done because the locals can handle their liquor and rakija is typically 50% – 60% proof. Upon independence in 2006, Montenegro did not have a currency. In a clear sign of its future direction, the new country adopted the euro. Banking facilities are relatively well developed along the coast, but they become scarcer when you travel east of Podgorica. For trips into the mountains, it is recommended to carry cash. For most things along the Adriatic, you will be okay using credit cards, although it is always worth keeping some euros for smaller purchases. A small tip is expected, and it is normal to round up the bill at a restaurant, bar or taxi. Language The challenge is communicating with the people so eager to speak with you. During its communist Yugoslav era, the people learned Russian, and it is only since independence that English has filtered into education. Guides, of course, will speak English and can translate for you. The younger generations tend to be better although the enthusiasm of older Montenegrins more than compensates for the lack of English vocabulary. Montenegrin has its own language, yet it is more of a dialect than a distinct language. The language falls in the same group as Serbian and Croatian. Simple words you learn in these other Balkan states will help you get by in Montenegro. 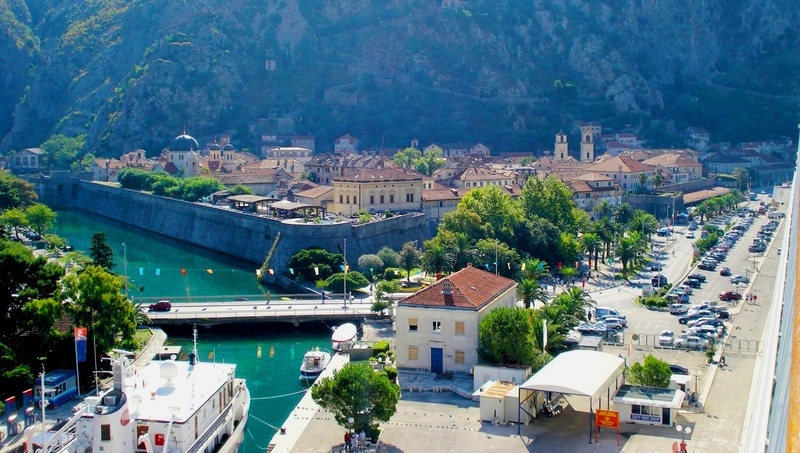 Leisure provides a wide array of meticulously planned Montenegro tours. We make all the plans so that you can completely enjoy your dream vacation! The entire trips can be customized to specific class and requirements or can be completely tailor-made around particular destinations and special interests. To start your amazing journey for Customized Montenegro tours, let us know your interests by filling out a Trip Request. We would then match your requirements with two or three specialist travel agents who will work with you to provide you the best vacation.